Attention: HSTA seniors who are going to WVU in the fall. HSTA and HCOP have partnered with Adventure WVU to provide you a fun trip packed with outdoor activities and chances to bond with your HSTA friends before school starts. The trip is August 13-17 just outside of Morgantown, and HSTA is footing the bill! HSTA is providing this to HSTA and HCOP students free to gear up and be better prepared for a great freshman year. Check your WVU mix emails for more information and directions on how to register. Come join us and have fun with friends as you start your journey as Mountaineers together! If any issues, please contact your Field Site Coordinator. Deadline for Summer Camp Application-March 29, 2019 11:59 PM. Looking for a Summer Job? HSTA is hiring college student mentors. Click here for more information. New HSTA student applications are being accepted on online for the 2019-2020 School Year. Click here for more information. Joint Governing Board Meeting- May 20, 2019 at Flatwoods, Days Inn. 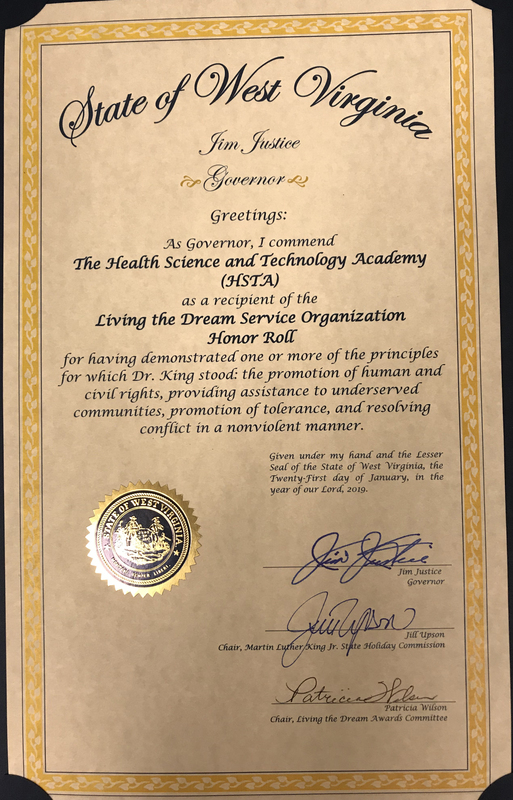 The Health Sciences & Technology Academy, known as HSTA, is a one-of-a-kind mentoring program in the state of West Virginia that helps participating high school students enter and succeed in STEM-based undergraduate and graduate degree programs. HSTA marshals the efforts of hundreds of mentors―teachers, community members, higher-education faculty and staff, and the HSTA participants themselves―through a framework that supports students facing social and financial challenges to obtaining a diploma and moving on to college. HSTA Scholars Are . . .
WVU Research Apprenticeship Program- Opportunity for undergraduates with limited or no University research experience to earn money while learning.